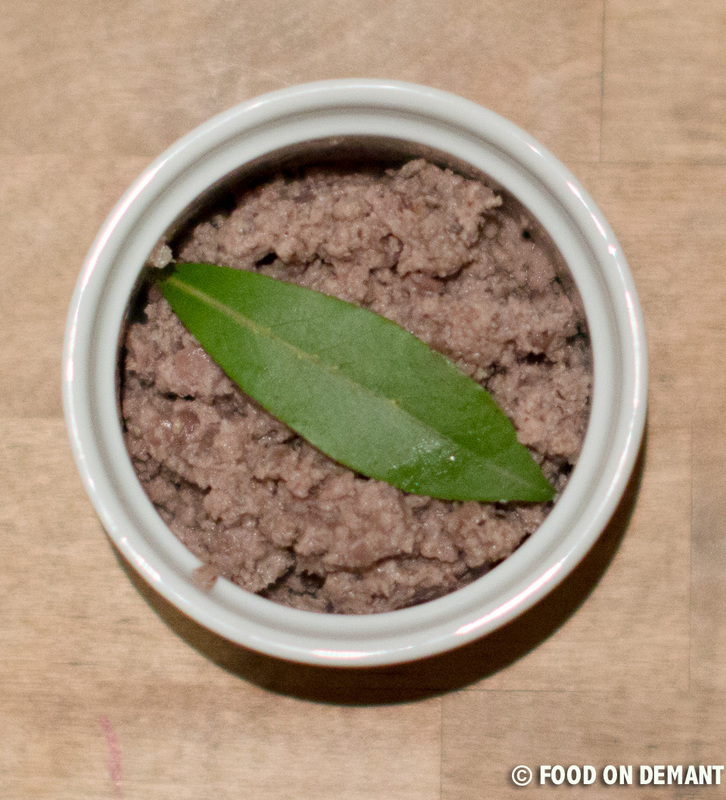 It is the second time we make this delicious pheasant paté and it is just so damn good that we are going to make yet another portion tomorrow or the day after tomorrow, so that we can serve it for appetizers on New Years Eve before heading to the restaurant where we are going to eat this year. Skin and debone the pheasant – only the breast and leg meat is required for this recipe. Make sure that you have cleaned it thoroughly for feathers. 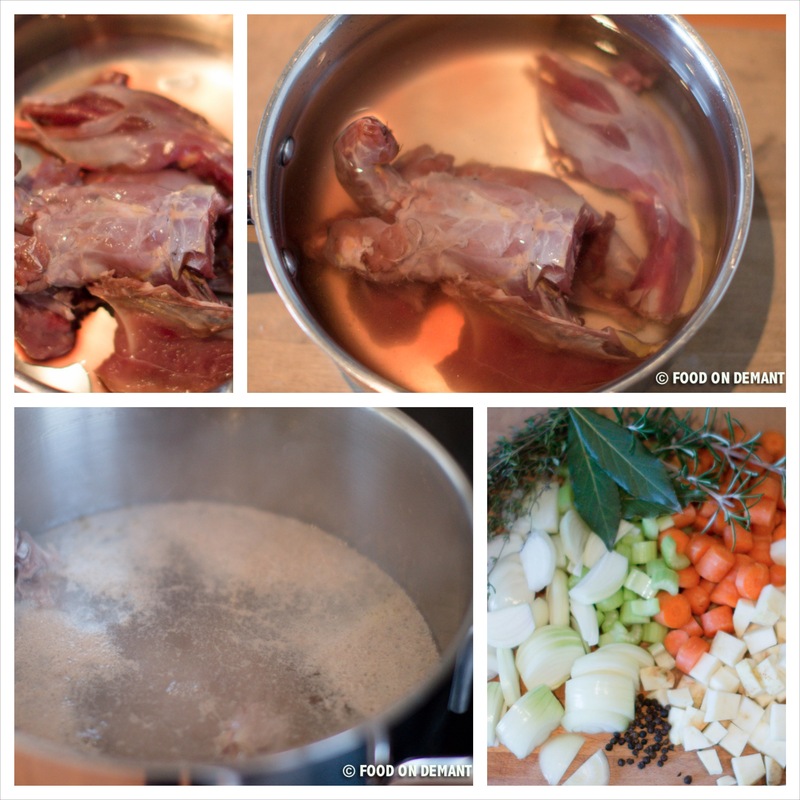 Put away the pheasant meat while you make the stock. Place the carcass and drumsticks in a sauce pan and cover it with water. Bring it to a boil while keeping an eye on it. 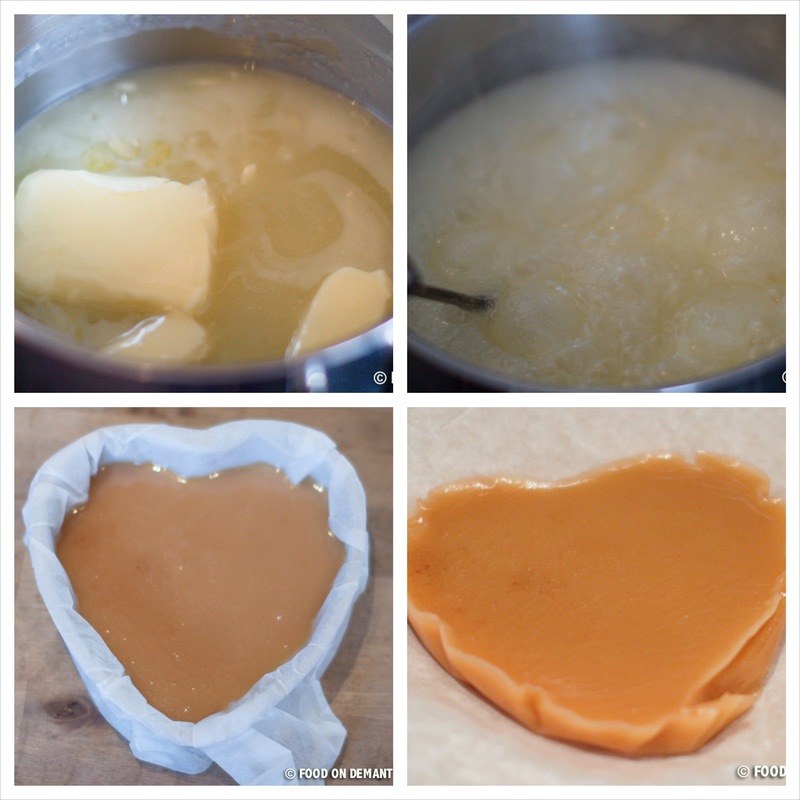 Just before it begins to boil, all the impurities will come to surface – remove the impurities with a spoon so that your stock gets clear and pretty. Add all the vegetables, peppercorns and herbs and let cook for one hour. Strain the stock from the vegetables after an hour and continue to cook until the stock has reduced to the needed 2 cups (approximately 2 hours at medium-low heat). Roughly chop onion and garlic cloves. 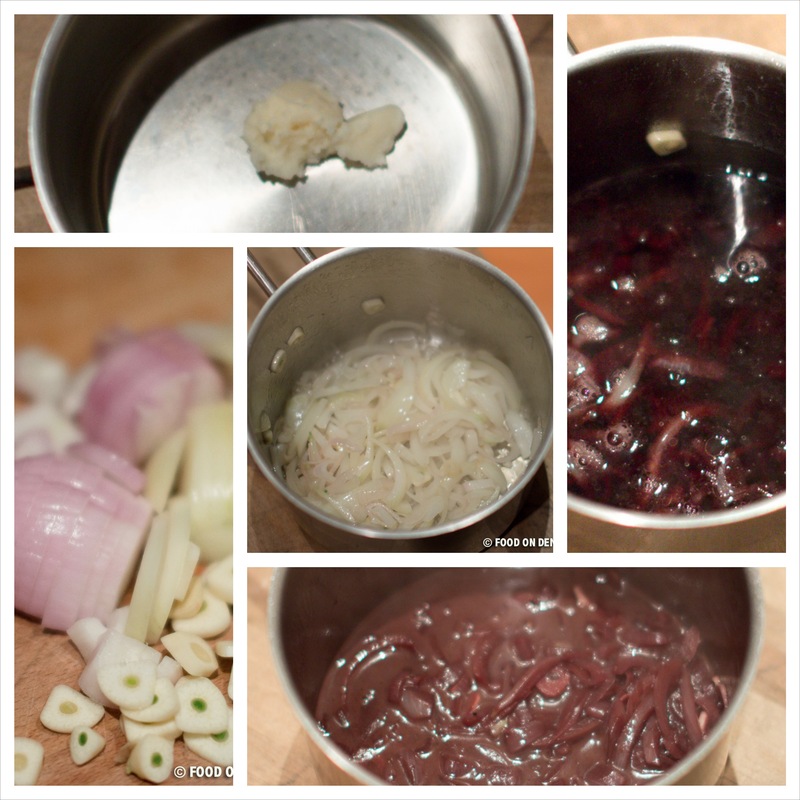 Melt half of the duck fat and soften onion and garlic until the onions get a clear and shiny surface. Add the red wine and reduce until almost all the wine has evaporated. Add the stock and reduce again. You should end up with a approximately 1 cup of onion/stock. While you reduce the stock you can prepare the meat. 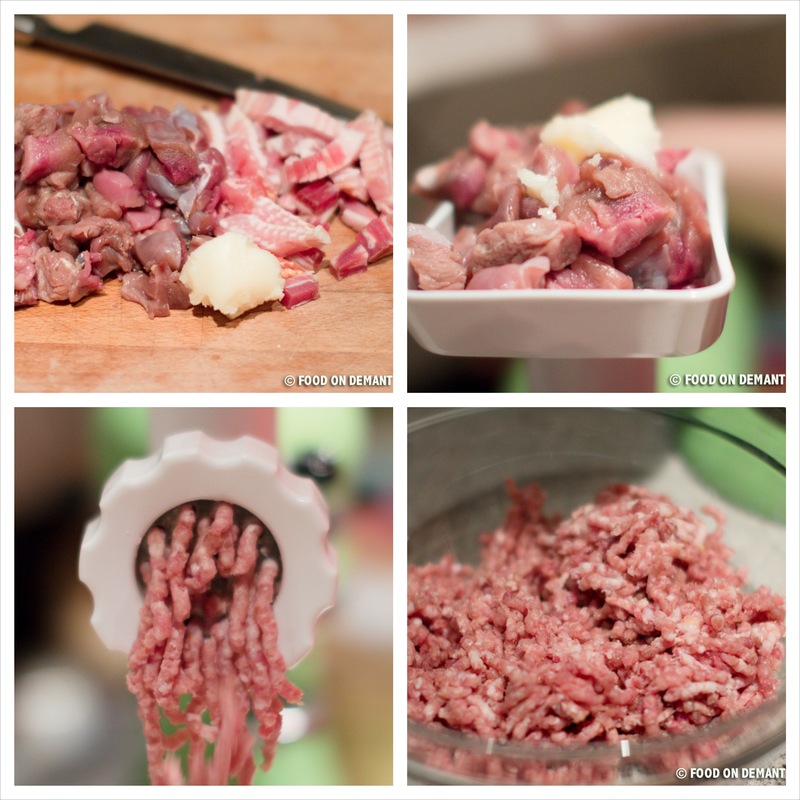 Mince the pheasant meat, diced bacon and the remaining duck fat on a coarse mince setting. Grind the peppercorns together with nutmeg and anise using a pestle and mortar. 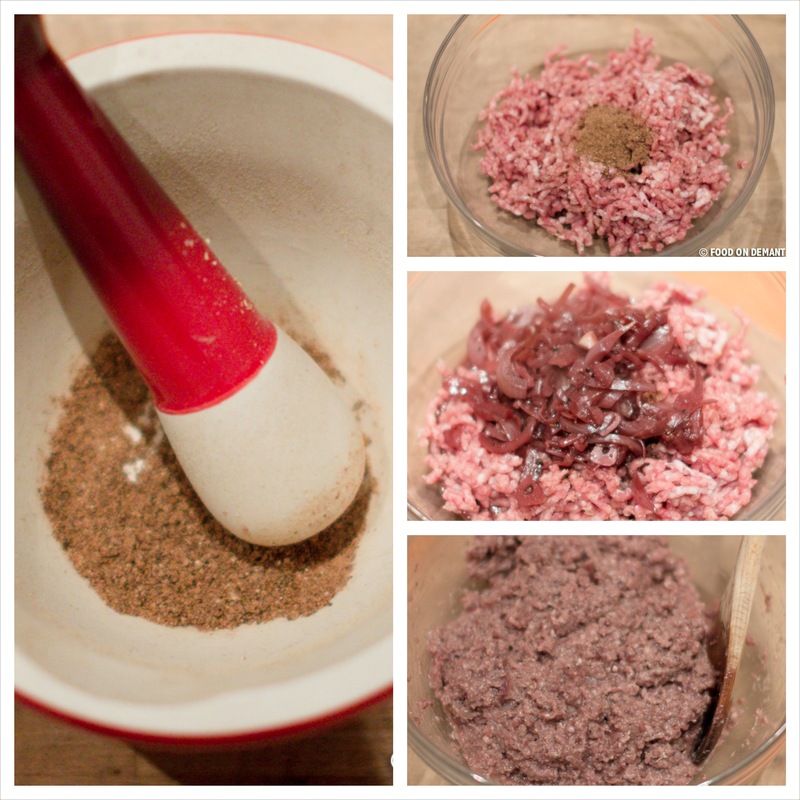 Add to the minced meat together with the stock reduction and pass it through the mincer again. Season with salt and pepper and stir to combine all ingredients evenly. Take a small amount of the mixture, fry if and taste. Season more if required. Divide the mixture into two sterilized pots – be careful not to over fill the pots, otherwise the mixture will bubble over. 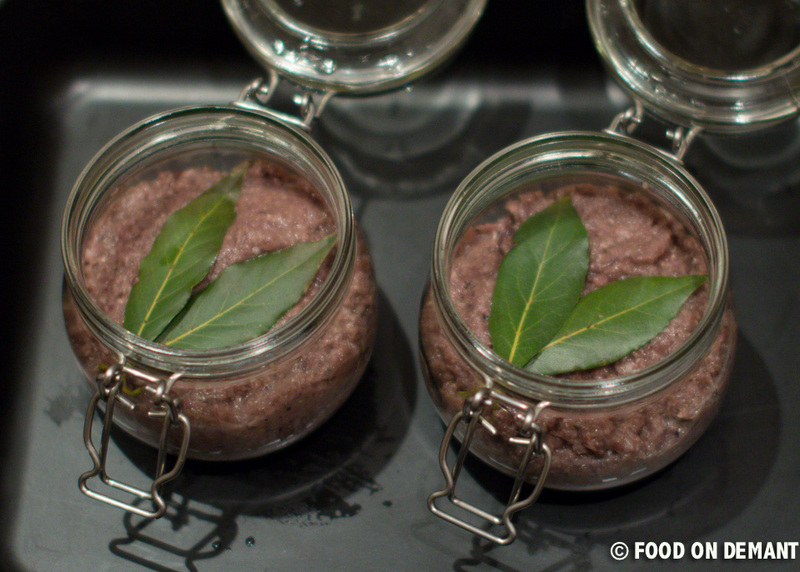 Place two bay leaves in the top of each pot before putting the pots a bain-marie (water bath). Place the jar lids in a position where they can be closed quickly as soon as the come out of the oven. Cook in the oven at 320F for 60 minutes. Remove from the oven, seal the jar immediately and leave to cool. 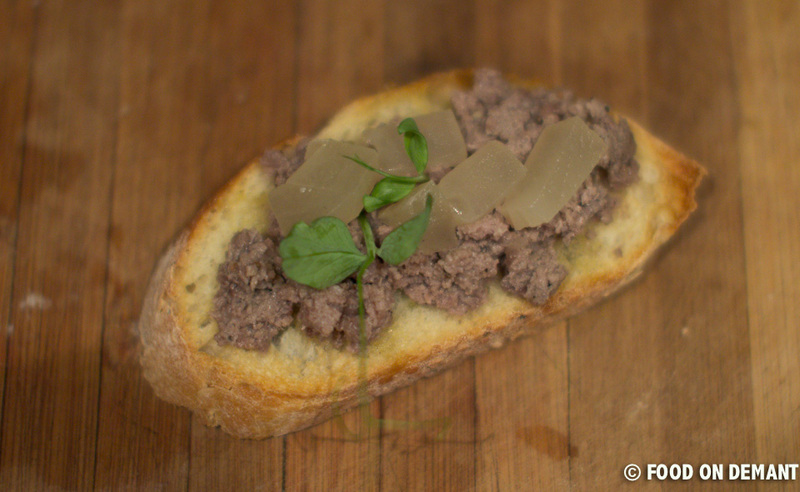 Unopened the paté can be stored at room temperature for up to 4 weeks – this, of cause. depends on weather you have used sterilized pots or not. Fridge when opened. Soup, soup, soup and more soup… I have experimented with soups this December and I must admit that I have made some pretty awesome variation with the vegetables in season. Years ago we never thought about using what was in season – we just bought whatever ingredients was necessary to make what we wanted for dinner. Today we most often pick our vegetables at the local farmers market where we can get fresh seasonal vegetables, which makes it a lot more fun than buying them in the local super market where it have been lying for days. What would be even better is to grow the vegetables our selves, but as we live in an apartment it is quite difficult for us to grow anything else than herbs, tomatoes, cucumbers and chilies. To our luck, my parents have a garden where we can grow potatoes, beets, celeriac, zucchinis, onions, brussels sprouts, carrots, strawberries, raspberries, black currant and apples 🙂 Or to be honest, my parents grow it and we eat it! The beets and onions for this soup is bought while the celeriac and jalapeños is home grown and the vegetables stock home made from vegetables residues. 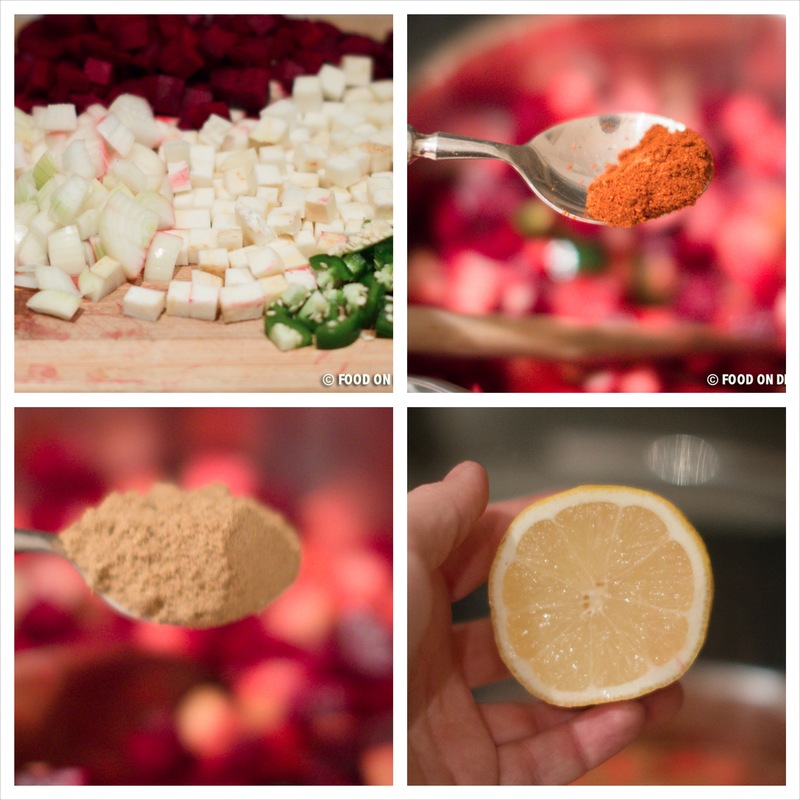 Chop celeriac, beets and onions in 1/2-inch pieces and the jalapeños in slices. Warm the oil in a sauce pan and add all the vegetables. 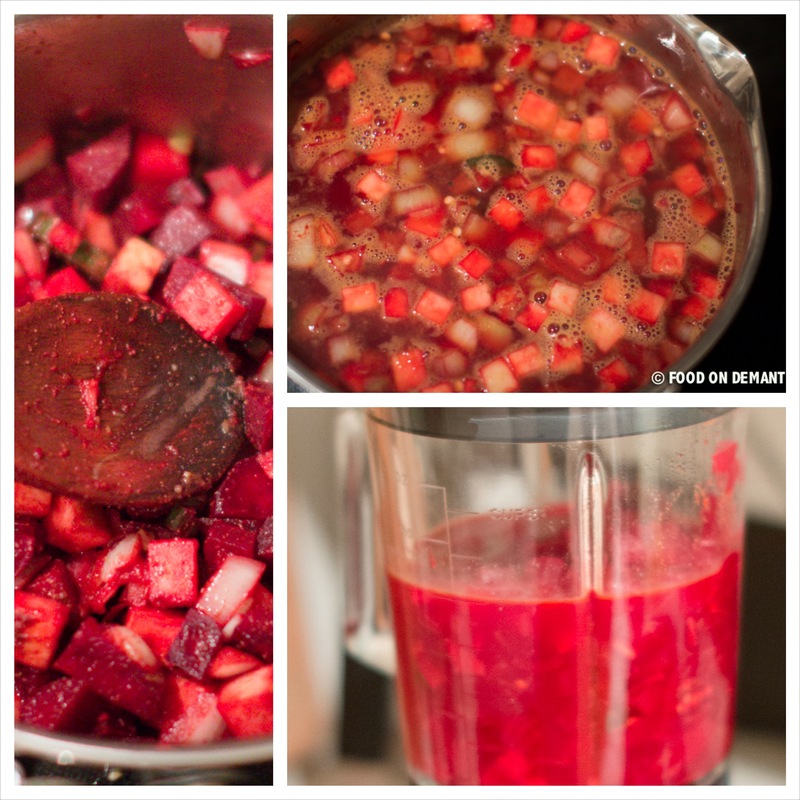 Sauté for 4-5 minutes until all vegetables has adapted the beautiful color from the beets. Add cayenne pepper, dried coriander and lemon juice and stir to combine. Add vegetable stock and bring to a boil, then turn down the heat and let simmer for 30 minutes. Transfer to a stand blender and blend until smooth. Taste and season with salt and pepper. 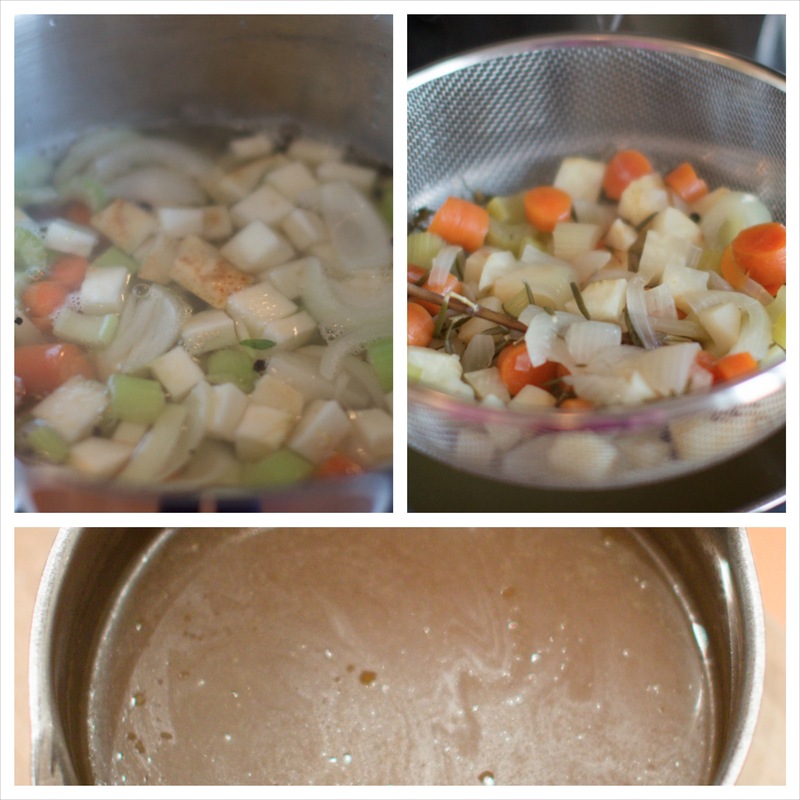 Add more vegetables stock or water for a thinner consistency. 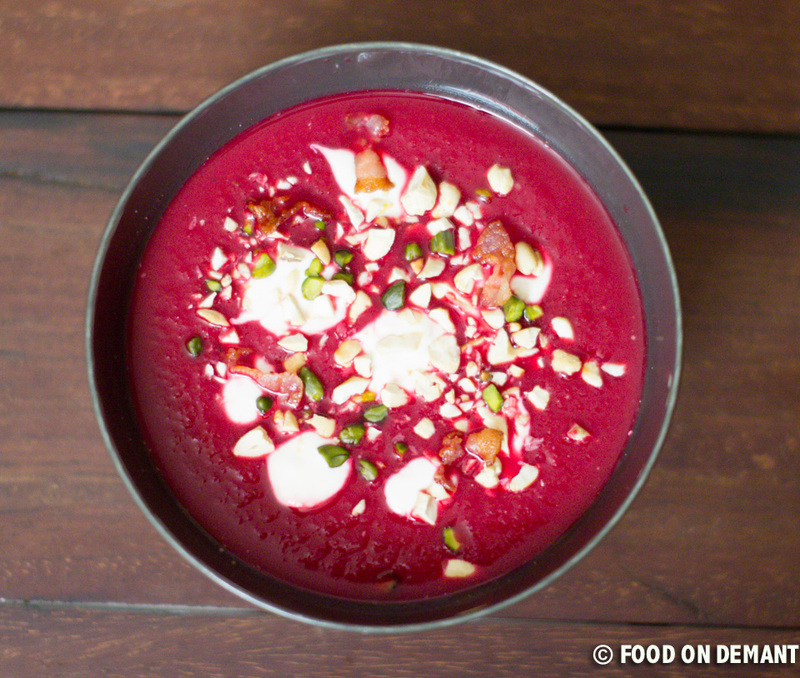 Pour the soup in small soup bowls and garnish with sour cream, fried bacon and roasted chopped cashew nuts. Rinse the kale carefully in cold water and remove the stem. 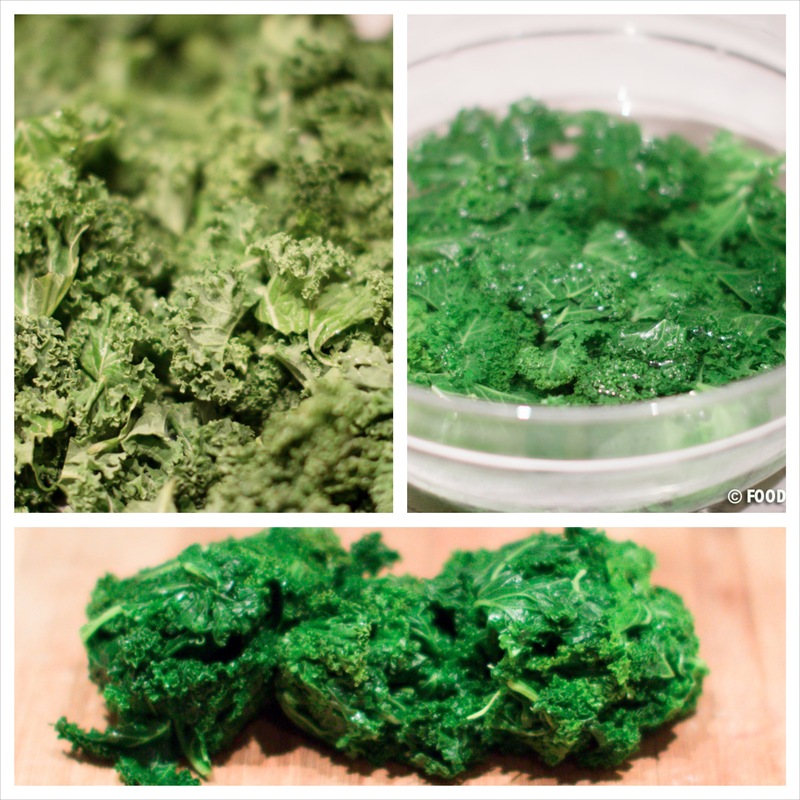 Bring a large sauce pan to a broil, turn the heat down to the lowest point and add 1/3 of the rinsed kale. Let steam for 4-5 minutes in the hot water before transferring to a bowl with cold water. This step will ensures that the kale keeps the beautiful green color. Repeat process with the remaining 2/3 of the kale. Divide the onions in two and chop them in thin slices. Melt the butter in a large sauce pan and sauté the onions and lemon zest for 3-4 minutes or until the onion slices begin to get transparent. Add flour and stir to combine. 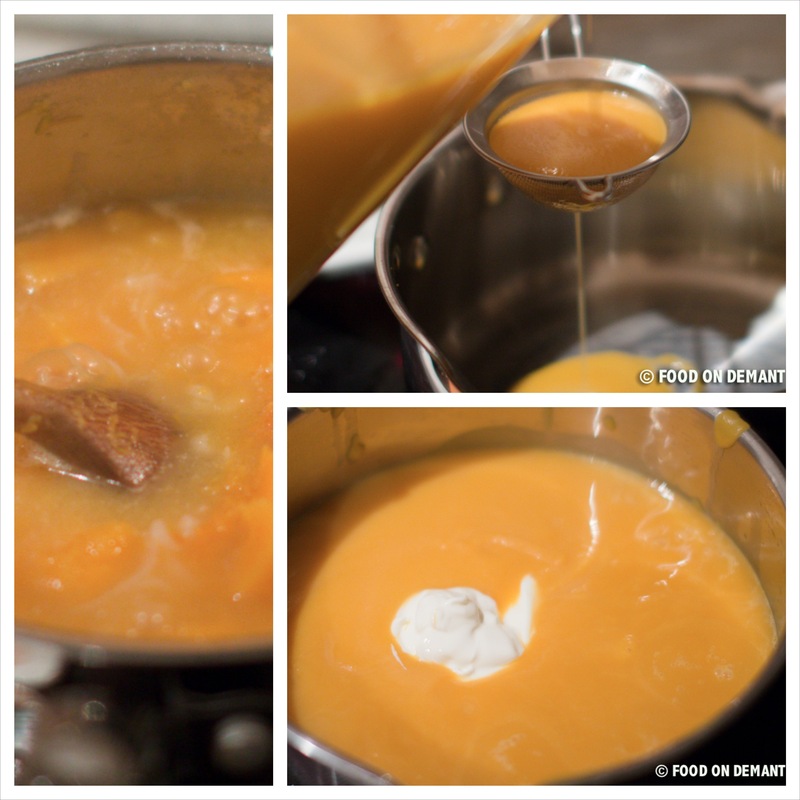 Add 1/5 cup vegetable stock, stir until combined and thickened and repeat with the remaining stock and all the milk. Make sure that the liquid is incorporated into the roux before adding more – otherwise you will end up with a thin and indifferent sauce. Add parmesan cheese and season with salt and pepper – taste and season more if necessary. Add the steamed and chopped kale, stir and let cook at low heat for 10-15 minutes. 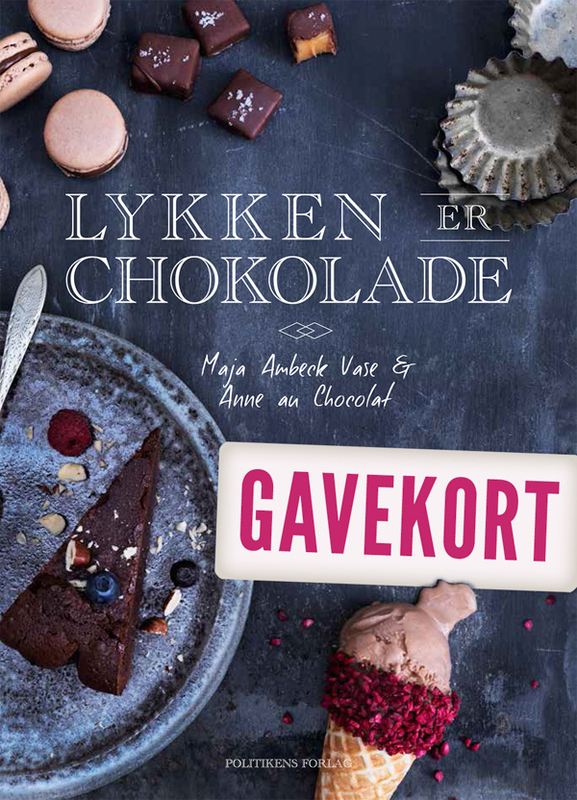 Whenever we need chocolate inspiration we visit two Danish chocolate blogs – Anne au Chocolat and Chocolat. They both make the most wonderful recipes containing chocolate in many variations and one cannot avoid being chocolate hungry when looking at their recipes and pictures. The Give Away will be open worldwide, but remember that the book is written in Danish. The winner will be drawn on December 24th 12am Danish time. In the recipe we have written “chicken/vegetable” stock but we alway use home made chicken stock ourselves, but are you a vegetarian or are you serving the soup for vegetarians, you can replace the chicken stock with vegetable stock. 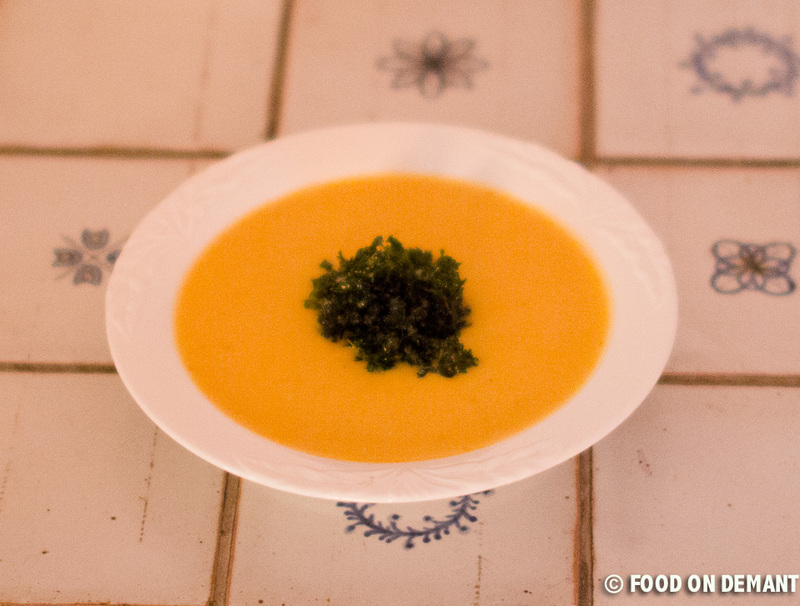 We have made many soup this spring and the first two weeks of the winter and we will try to upload as many soup recipes as possible during the remaining winter season. Slice the butternut squash in two and remove the seeds. Place on a piece of baking paper and bake at 400F for approximately 1 hour or until tender. 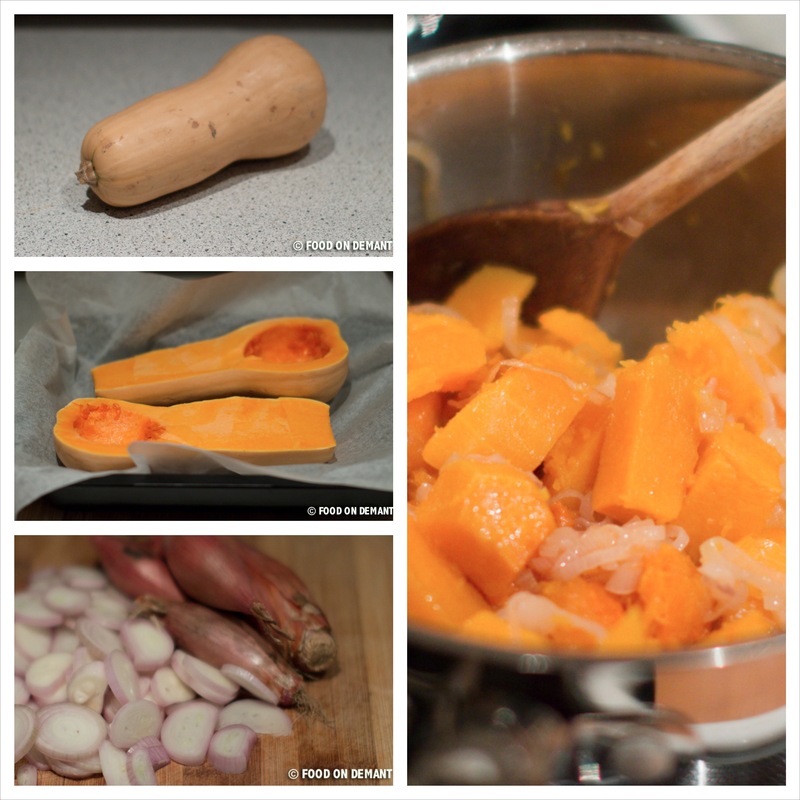 Peel the baked butternut squash and chop the squash meat into 1 inch cubes. Slice the shallots. Melt the butter in a sauce pan and sauté the sliced shallots for a few minutes. Add the chopped baked squash pieces and sauté for a further 5 minutes. Then add stock and water, season with salt and pepper and stir to combine and bring to a boil. Put the lid on and let cook at medium/low heat for 45-50 minutes. Transfer the soup to a blender and blend until smooth. Taste and season again if necessary. Pour the blended soup through a strainer and back into the sauce pan. Add sour cream and stir to combine. Remove the soup from the heat and let rest while making the garnish. 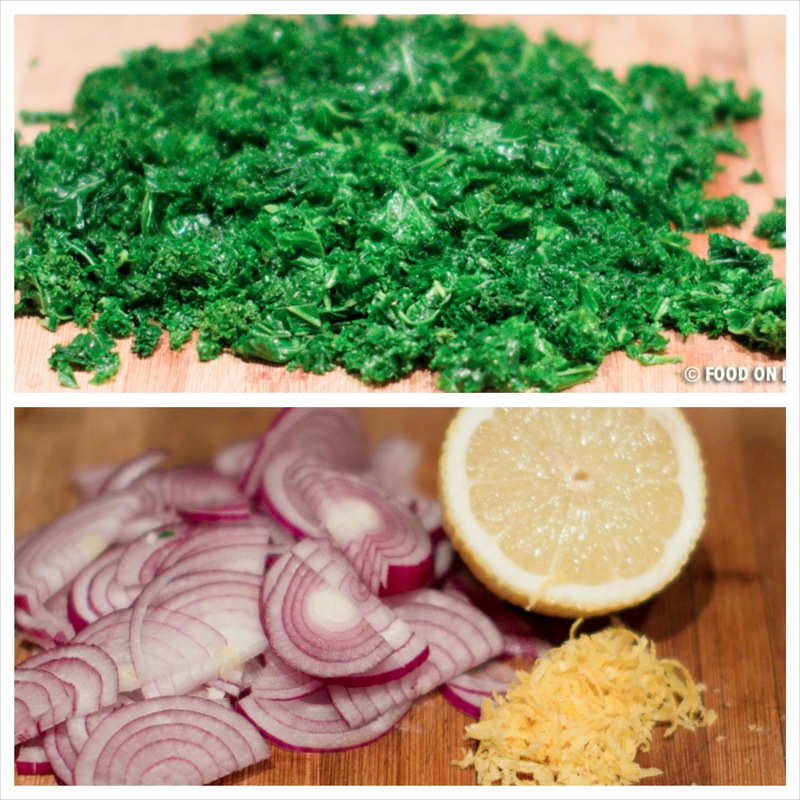 Rinse the chopped kale in cold water and squeeze it in a tea towel to remove as much water as possible. Heat up the canola oil to 320F and fry the kale 1/2 a cup at a time. 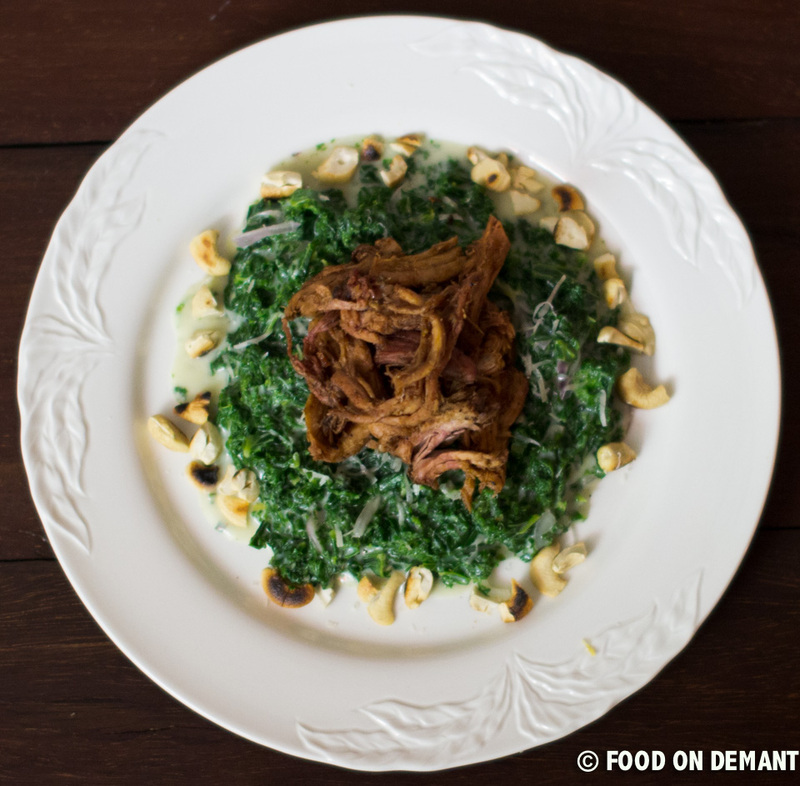 Transfer the fried kale to a plate with paper towel. The basics is the same as for the sea salt caramels, so it is only the sprinkling and chocolate that differs. If you want to make these delicious petit fours, I’ll recommend that you choose a good quality chocolate like Valrhona or Amedei as we used here, but a cheaper but still good brand is also okay. 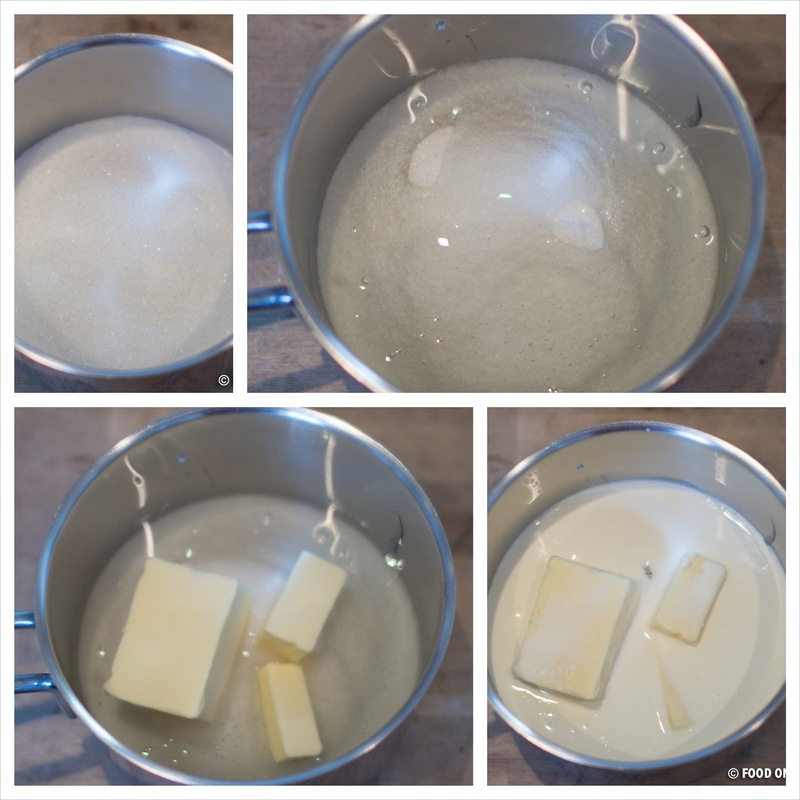 In a heavy saucepan over medium-low heat, combine the sugar, corn syrup, butter and 1/2 cup of the cream. Bring to a simmer, stirring constantly, and then cook, stirring, until a candy thermometer registers 240°F, about 10-15 minutes. Remove from the heat and drizzle in the remaining 1/2 cup cream, stirring to mix well. The mixture will bubble up slightly. Return the pan to the heat and continue to cook until the thermometer registers 244°F, about 10 minutes more. Remove from the heat and pour the mixture into a prepared pan. Let stand for 1 1/2 to 2 hours. The mixture should be firm to the touch but not hard. 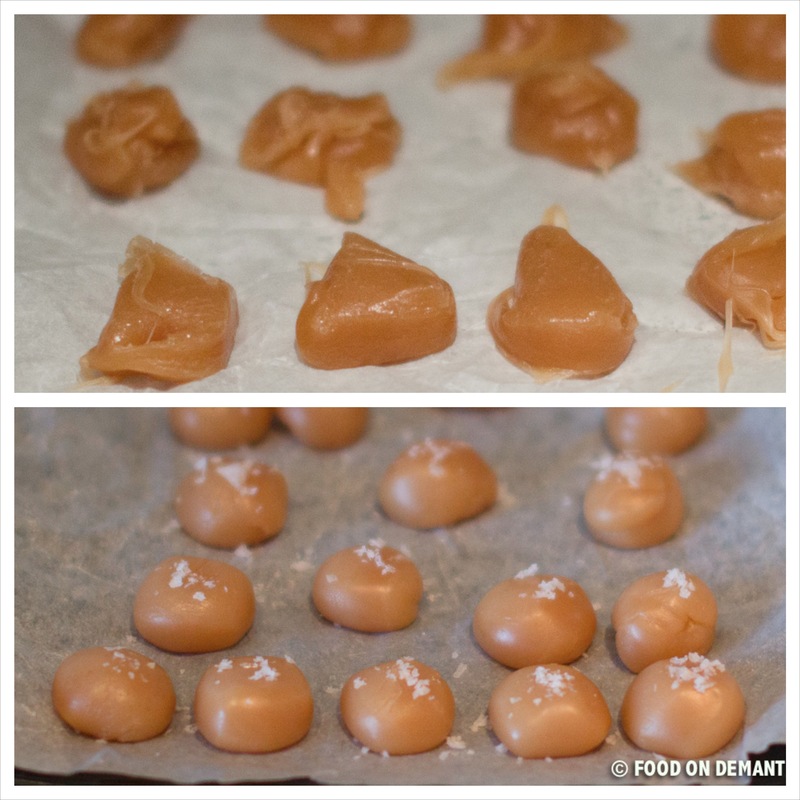 Using a teaspoon, scoop out and form balls of caramel and place them on a sheet of baking paper. If you want the caramels to be exactly the same size, you can weight the caramels – to get 70 caramels, they should weight 0.35 oz each. 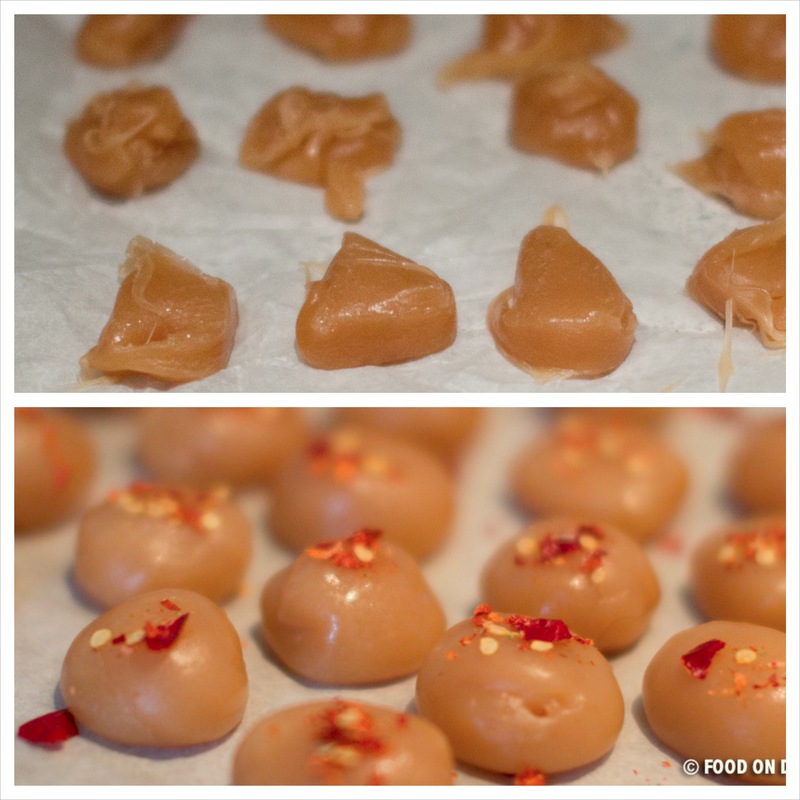 The caramel scraps can be gathered and shaped into balls by hand. Sprinkle each ball with a few grains of sea salt. Let stand for 1 hour before dipping. 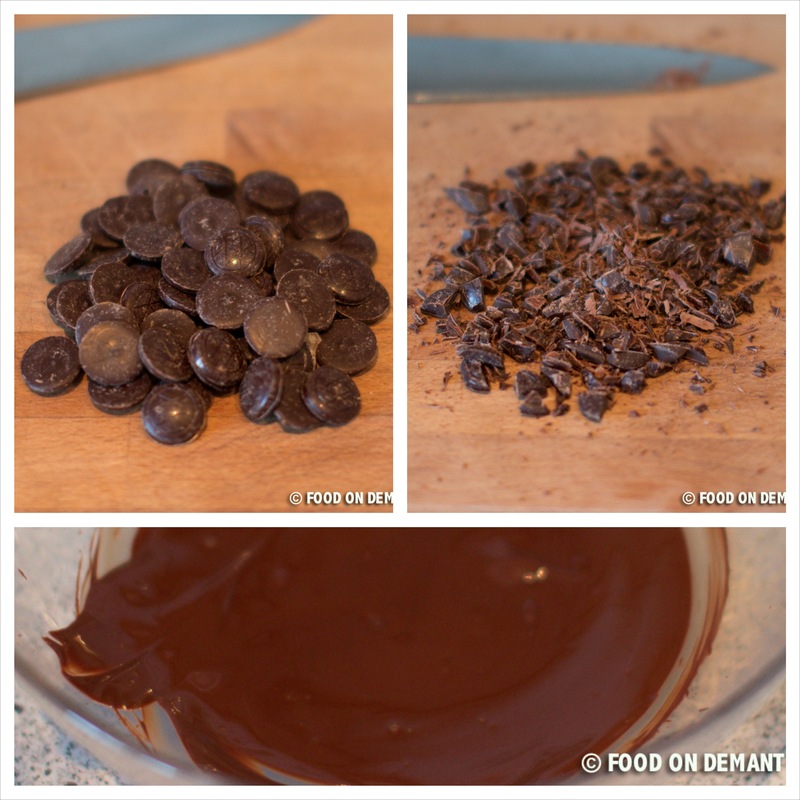 Chop the chocolate roughly and melt 2/3 in a heat proof bowl over a pan of simmering water. Pour the melted chocolate over the remaining chocolate and wait for 30 seconds before you begin to stir. Line 2 baking sheets with baking paper. Dip the caramel balls one at a time into the chocolate, turning to coat. Transfer to the baking paper to cool. 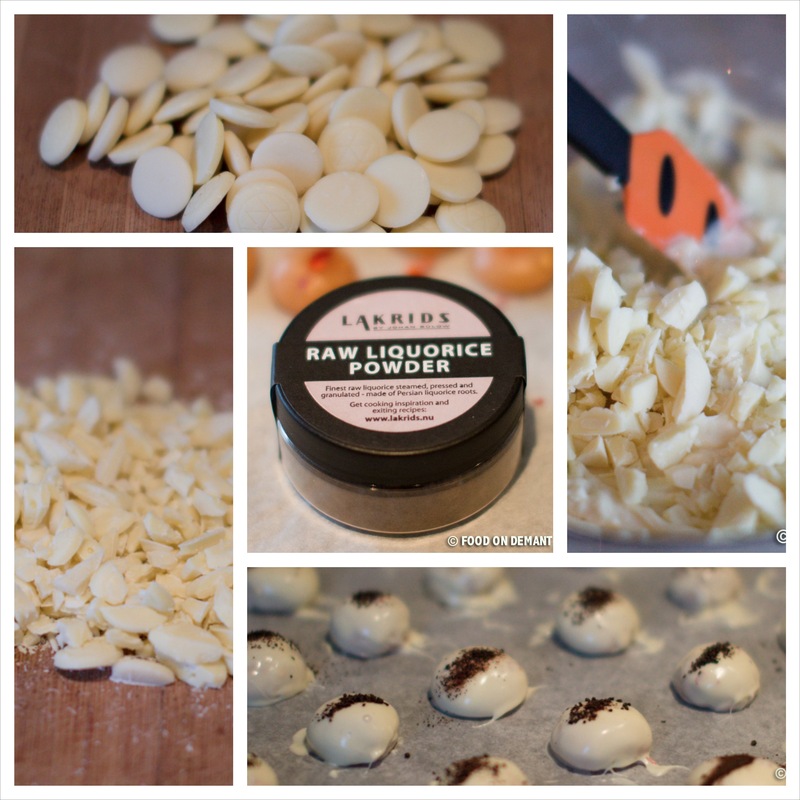 Add a sprinkle of raw liquorice powder to the top of each truffle and let stand until the chocolate is firm and set. Store in layers, separated by waxed paper, in an airtight container at room temperature for up to 1 week. Every year around christmas time I crave for truffles – who doesn’t?? And as my cooking skills have developed a lot within the last one-two years, I decided to advance from simple chocolate truffles to something a bit more advanced (of cause I will still be making chocolate truffle). I’ve made caramels many times before and find it relatively easy as long as I have the appropriate tool (a candy thermometer!!! ), but it is quite time consuming so if you consider to try it – what a silly question, I know that you consider trying it 😉 – do it on a day where you have other duties to do at home, so that you can combine things (make the caramel mixture, do the laundry, roll the caramels, prepare dinner, cover caramels with chocolate, serve dinner, eat caramels with evening coffee 🙂 ). 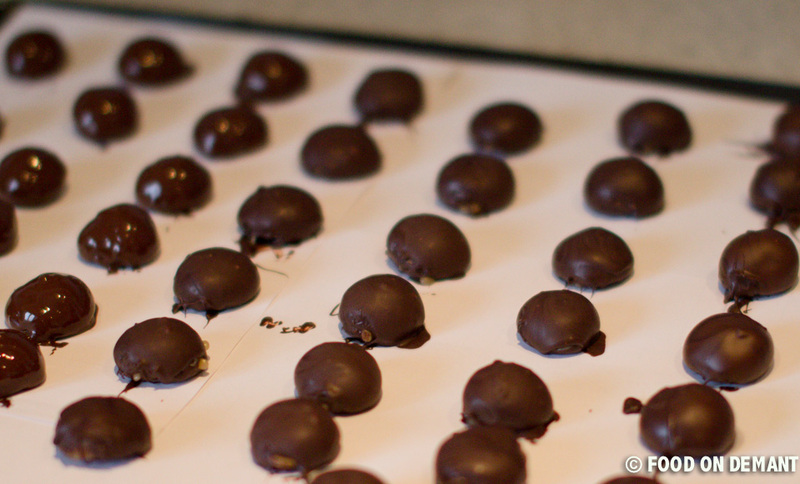 Dip the caramel balls one at a time into the chocolate, turning to coat. Transfer to the baking paper to cool. 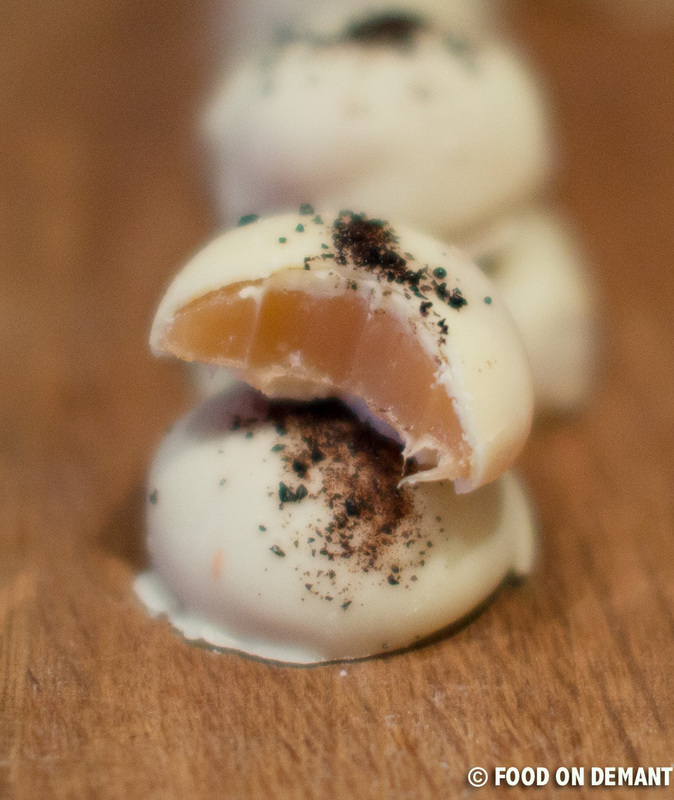 Add a sprinkle of salt to the top of each truffle and let stand until the chocolate is firm and set.